It is estimated that over 600,000 Rohingya refugees have crossed the border into Bangladesh in recent weeks. 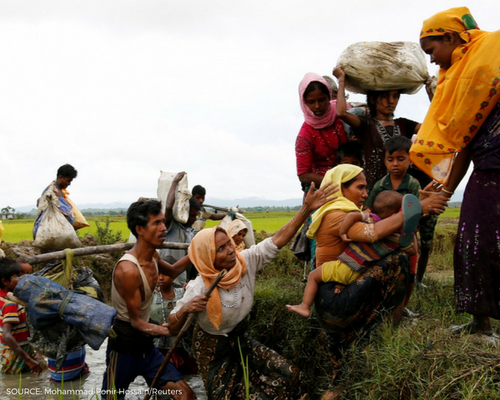 The Rohingya, an ethnic minority in Myanmar, have long faced persecution. These refugees travel for days to reach safety from the violence they face at home. Several highly-rated charities are providing food, clothing, shelter, and more to those impacted. Consider supporting one of the these great organizations listed below in their efforts to provide relief to the Rohingyan refugees. To be included on this list, please visit our 'How Can My Charity Be Added To This List?' page.